The name Kiril has the meaning of „lordly” (from Old Greek), while Metodi means “the one who studies, who follows a method”. 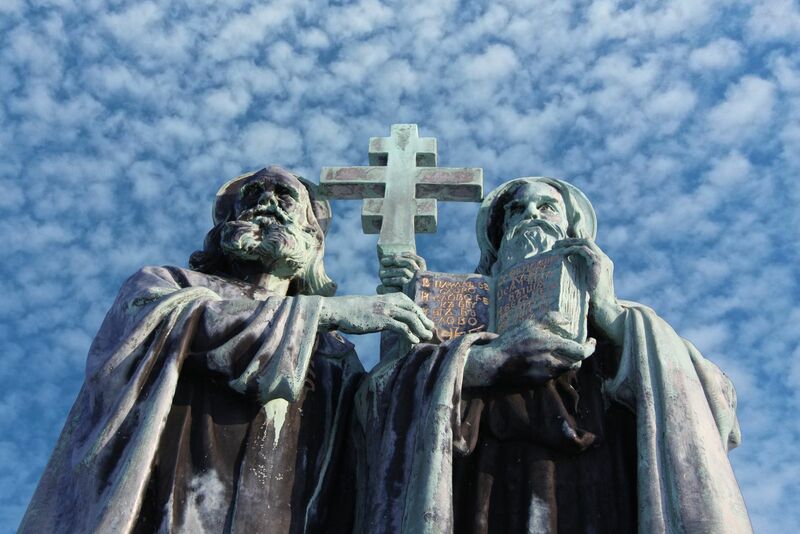 The church feastday of the Holy brothers, St. Cyril and St. Methodius, is on May 11th, but under the influence of the day of Slavic Literacy and Culture – May 24th, people very often celebrate on this day as well. The two brothers, Sts. Cyril and Methodius (or Constantine and Methodius) – known as the Apostles of the Slavs, were born in Thessalonica, in 827 and 826 respectively. Though belonging to a senatorial family, they renounced secular honours and became priests. They were living in a monastery on the Bosphorus, when the Khazars sent to Constantinople for a Christian teacher. Cyril was selected and was accompanied by his brother. 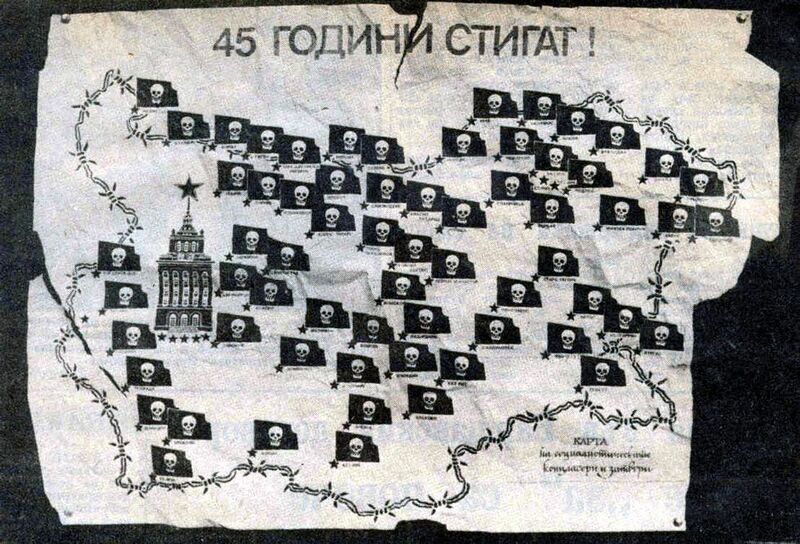 They learned the Khazar language and converted many of the people. Soon after their Khazar mission, came the invitation of the Moravian Prince Rostislav, who sought missionaries able to preach in the Slavonic vernacular (people’s) language, and thereby check German influence in Moravia – the Moravians wished a teacher who could instruct them and conduct Divine service in the Slavonic tongue. On account of their acquaintance with that language, Cyril and Methodius were chosen for their work. In preparation for it Cyril invented a new alphabet and, with the help of Methodius, translated the Gospels and the necessary liturgical books into that new South Slavonic language. They went to Moravia in 863, and laboured over the translations for four and a half years. The immediate success aroused the hostility of the German rulers and ecclesiastics. Cyril died in Rome, 4 Feb., 869. Methodius went to Constantinople and with the assistance of several priests he completed the translation of the Bible and ecclesiastical books into Slavonic. The enemies of Methodius did not cease to antagonize him. His health was worn out from the long struggle, and he died 6 April, 885, recommending as his successor Gorazd, a Slav who had been his disciple. Methodius’ influence in Moravia was wiped out after his death but was carried to Bulgaria, Serbia, and Russia, where the Southern Slavonic language of Cyril and Methodius (and their alphabet, known as the Cyrillic alphabet) is still the liturgical language of churches and they all use, with variations, that same alphabet as the basis of their languages. Canonical recognition of the Slavonic alphabet came in 879 when the Slavonic books were sanctified by Pope Johann VIII. For centuries on, Europe had only one Patron acknowledged by canon law – Saint Benedict. Then, in 20th century – in 1979, Pope John Paul II proclaimed the creators of the Slavonic alphabet, the Bulgarian Sts Cyril and Methodius, to also be Patrons of Europe. The Glagolitsa alphabet – according to Bulgarian and foreign linguists, it is the oldest Old-Bulgarian alphabet. It is supposed to have been created by Constantine Cyril the Philosopher in the years 862-863, and used by his brother Methodius in Moravia and Panonia. That alphabet was familiar to the men of letters in the Preslav Literary School in Bulgaria. A large number of church books were written in it – the Zograph Testament, the Sinaya prayer-book, etc. Letters of the Glagolitsa alphabet could be seen on one of the inner walls of the Round church (the Rotonda) in the ancient Bulgarian capital of Preslav. The latest researches prove that the Slavic alphabet was created in the year 855. Its basic components: the cross, the circle and the triangle all have sacred meaning and are perfectly incorporated in the writing of the letters. The Glagolitsa alphabetfully expresses all the typical phonetic peculiarities of the Slavic Bulgarian spoken language of those times.